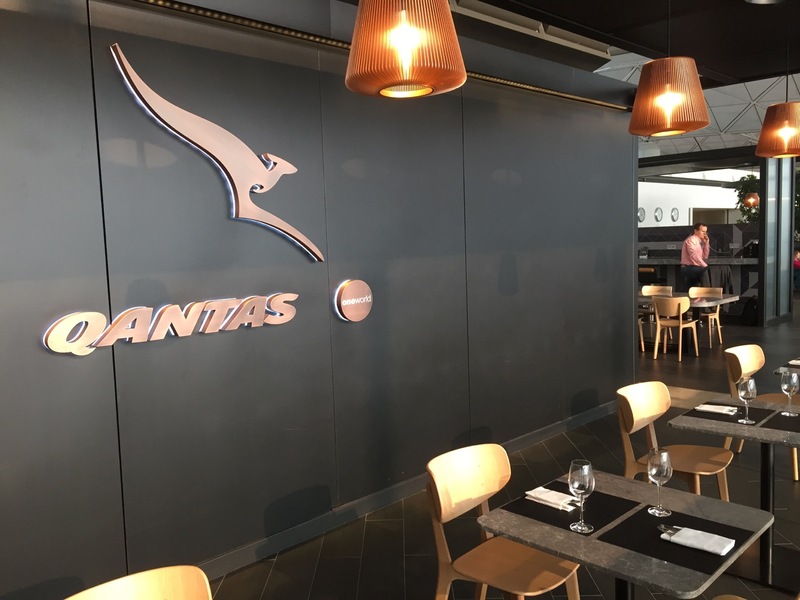 When it come to lounges, Qantas never disappoints. 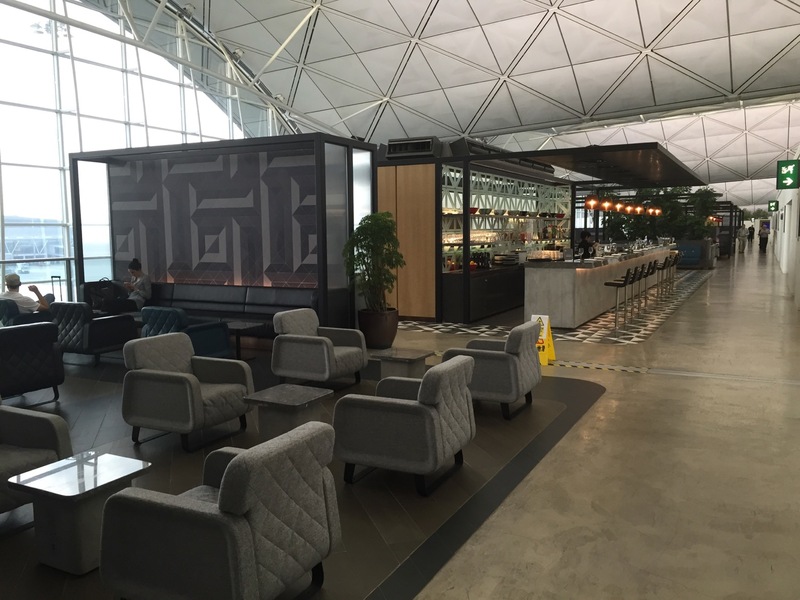 Its Hong Kong (HKG) lounge is no exception. Located above Gate 15 on Level 7, the lounge is open daily from 9:30a to 11:30p. The lounge is very spacious. I spent three hours here and despite a lot of people, it never felt crowded. A beautiful bar offers not just cocktails of your choice, but dishes inspired by Neil Perry’s Spice Temple. A buffet offers a large spread of Eastern and Western choices. A coffee/espresso machine is available, but don’t bother with it: the lounge also has a barista that will make you a much better cup of coffee. If you prefer to be served, just sit down and a lounge attendant will bring you over the beverage of your choice. Do take part in a meal here. The quality of the buffet is great. In addition, there is not a full a la carte menu, but a daily special. The special during my visit was pan-roosted salmon. It was amazing. This meal was particularly great because there was not a full dinner offered on my late evening Qantas flight to Sydney. Bathrooms and showers (not pictured) are available. This is truly one of my favorite business class lounges in the world. Take time to properly enjoy a nice meal here. When I visited the lounge, they also offer a plated option from the servers with a signature dish. I had it and it was really good. The server also made me a great cappuccino with coffee art similar to your dish. Its definitely a great lounge! Although I spent a bit too much time there so I had less time for the Cathay Pacific the Pier and Wing options on the trip.